PBMCs were stimulated with staphylococcal enterotoxin B for 6 hours in the presence of brefeldin A. After stimulation, cells were fixed and permeabilized using the BD Cytofix/Cytoperm buffer system. Cells were stained with the following fluorescent antibodies: CD3 FITC, CD4 PerCP-Cy™5.5, CD8 Brilliant Violet 421, IFN-γ PE, and IL-2 APC. Cells were then washed. Finally, cells were analyzed using a BD FACSVerse™ flow cytometer. 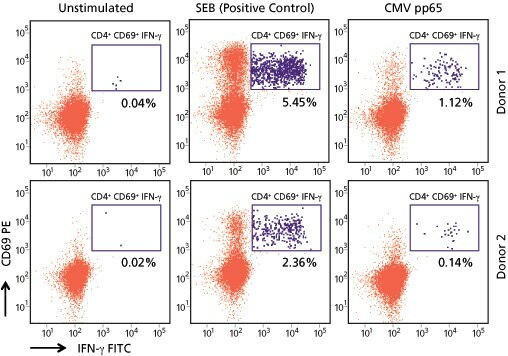 Two-color flow cytometric dot plots show IFN-γ vs CD69 expression by CD4 T cells that were either unstimulated (left panels), SEB-stimulated (as positive controls, center panels), and CMV pp65-stimulated (right panels) samples from two donors. 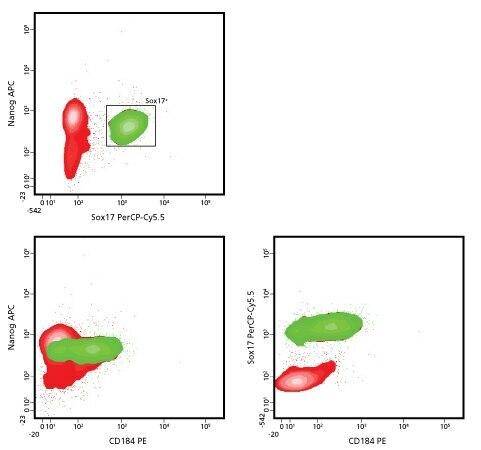 Human whole blood was stimulated in the presence of brefeldin A before fixing, permeabilizing, and staining using the BD FastImmune™ 3-color CD4 intracellular cytokine detection kit. Data was acquired using a BD FACSVerse flow cytometer and a BD FACSuite™ software research assay. 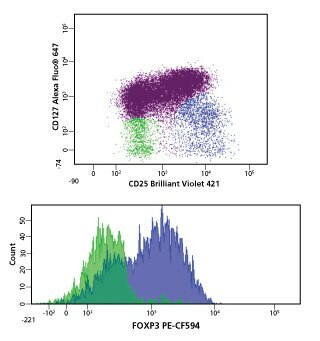 Human PBMCs were stained for surface markers using the following fluorescent antibodies: CD4 FITC, CD25 Brilliant Violet 421, and CD127 Alexa Fluor® 647. After washing, the cells were fixed and permeabilized using the BD Pharmingen transcription factor buffer set. Cells were then stained intracellularly with FoxP3 PE-CF594, washed, and acquired on a BD FACSVerse flow cytometer equipped with a PE-CF594 optional filter mirror unit. 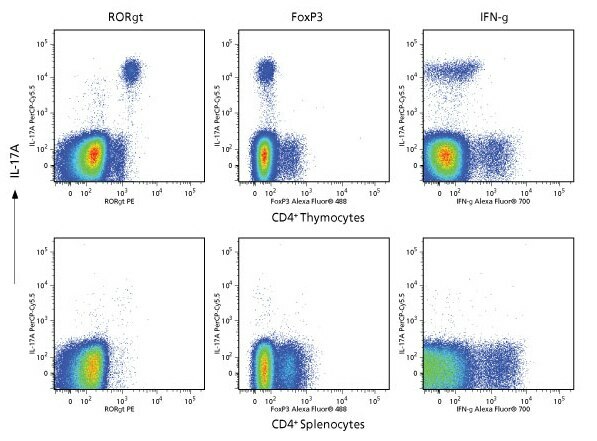 Gated Tregs (colored blue) have a CD4+ CD25high CD127dim FoxP3+ phenotype. H9 human embryonic stem cells (hESCs) (WiCell, Madison, WI) were differentiated to definitive endoderm for three days according to a protocol in D’Amour et al.1 Differentiated cells were analyzed by flow cytometry using components of the BD Stemflow human definitive and pancreatic endoderm analysis kit and CD184 PE. 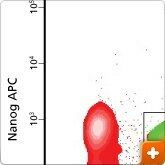 As cells differentiated, levels of the pluripotency marker Nanog decreased, and levels of definitive endoderm markers Sox17 (green) and CD184 increased. 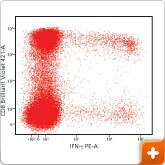 Flow cytometry was performed on a BD™ LSR II flow cytometry system. 1 D’Amour KA, Agulnick AD, Eliazer S, Kelly OG, Kroon E, Baetge EE. Efficient differentiation of human embryonic stem cells to definitive endoderm. Nat Biotechnol. 2005; 23:1534-1541. 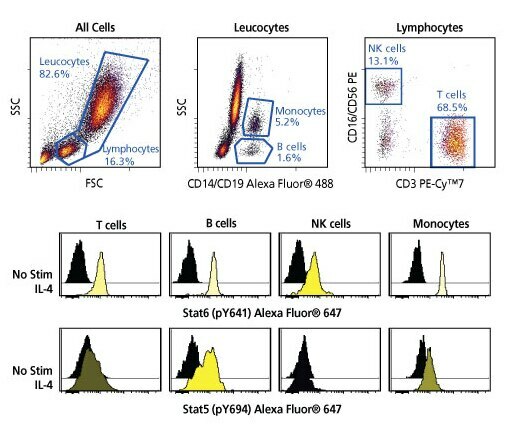 Human PBMCs were stained with Alexa Fluor® 647 Anti-Human CD127 antibody during a 15-minute stimulation with 0-, 0.01-, 0.1-, 1-, 10-, or 100-ng/mL doses of recombinant human IL-2. Cells were fixed using BD Cytofix fixation buffer, permeabilized using BD Phosflow perm buffer III, and stained with fluorescent antibodies specific for Stat5 (pY694), CD4, CD8, and CD25. 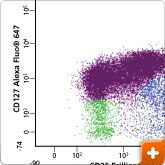 Samples were acquired using a BD LSRFortessa™ flow cytometry system and analyzed using Cytobank software. 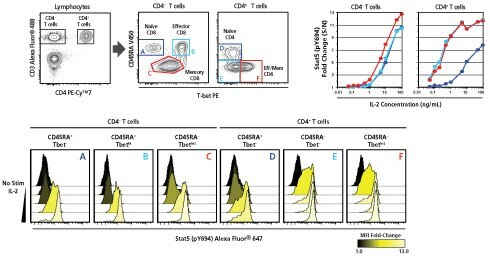 CD4 T-cell subsets were identified as shown. 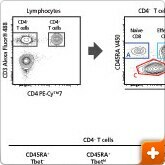 Compared to other T cells, Tregs phosphorylate Stat5 in response to much lower concentrations of IL-2. Human whole blood was stimulated with human IL-4 and fixed, permeabilized, and stained using the BD Phosflow human monocyte/NK cell activation kit. 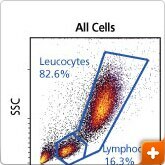 Samples were acquired and analyzed by flow cytometry using a BD LSRFortessa™ cell analyzer, and then analyzed using Cytobank software. 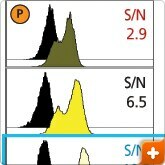 Leucocyte subsets were identified as shown. 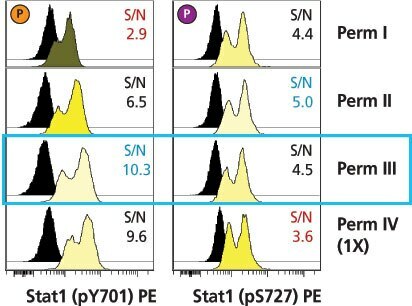 Analysis of Stat6 (pY641) and Stat5 (pY694) phosphorylation responses to IL-4 revealed that all four leucocyte subsets responded to IL-4 by phosphorylating Stat6. 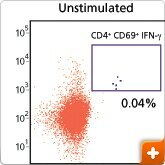 In contrast, Stat5 responses varied considerably among cell types, with NK cells not showing a detectable Stat5 phosphorylation response. Human whole blood was stimulated with various concentrations of human recombinant IL-2 (0.05–100 ng/mL) for 15 minutes. Cells were fixed with BD Phosflow™ lyse/fix buffer, permeabilized with BD Phosflow perm buffer III, and stained with fluorescent antibodies specific for CD3, CD4, CD45RA, T-bet, and Stat5 (pY694). 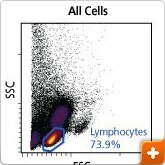 Samples were analyzed using a BD LSR II flow cytometry system with Cytobank software. T-cell subsets were identified as shown. 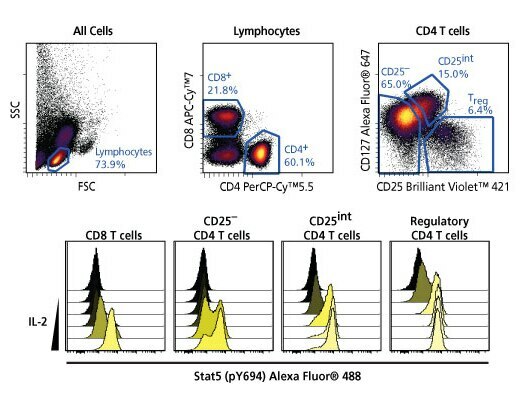 Thymocytes or splenocytes were surface stained with fluorescent antibodies specific for CD44, CD62L, CD196, or appropriate immunoglobulin isotype controls. 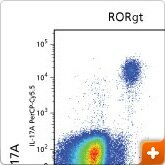 Cells were fixed and permeabilized with the BD Pharmingen transcription factor buffer set, then intracellularly stained for RORγt, Foxp3, IL-17A, and IFN-γ.